"Where Comfort & HVAC Technology Meet"
You have an older furnace and you are not sure if you should buy a new heating furnace or consider some form of furnace repair Vancouver rather than putting out the cash for a new one. The furnace price may play a important roll in your furnace of choice, but it is also important to understand the basics of any furnace before you give your final approval. The Efficiency factor of the new furnaces is important to understand. When your hear people talking about furnace efficiency you want to understand the term AFUE (Annual Fuel Utilization Efficiency). For example If a furnace has an AFUE of 90% understand that the furnace is burning between 90% of the gas to generate the heat and the other 10% is being wasted. Many gas furnace considerations take into account the size of your home; this could be a major factor for your decision. It is not always easy to single out any one factor so give some thought to the list above. Climate will also play a big part in your decision. Common sense will suggest if you live in a very cold climate then you will probably need something a furnace that has the capability to keep you comfortable. However if your climate is more moderate and you are heating your home for only a few months of the year your needs could be quite different. The other thing to consider is the availabiltiy of service and service parts in your area. You want to make sure that parts are easily available so you can quickly attend to any problems that may arise. 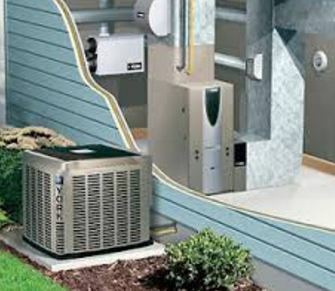 Your qualified furnace technician at Competition HVAC will help you determine your needs and will be easily reachable if you have any service requirements in the future. In a nut shell your old unit could be inspected for furnace repair Vancouver options and at the same time review the cost and the operating savings of getting into a new furnace. The operating savings from your old furnace to your new furnace could have a shorter pay back time than you might think. When you get your old furnace serviced you might as well get information on the cost of a new one. A new furnace may not be in the cards for now but at least you will be informed for the future. As you are doing this review you may also be inclined to do a total review of your HVAC situation and consider the need for air conditioning as part of this package. You can review HVAC information here. Noah Enes of Competition HVAC can be a great help to you call Noah Today at 604-836-4822. Areas of Service for Furnace Repair Vancouver, North Vancouver, Burnaby, Coquitlam, Port Coquitlam, Surrey, Maple Ridge, Langley and most areas of the Vancouver Lower Mainland.